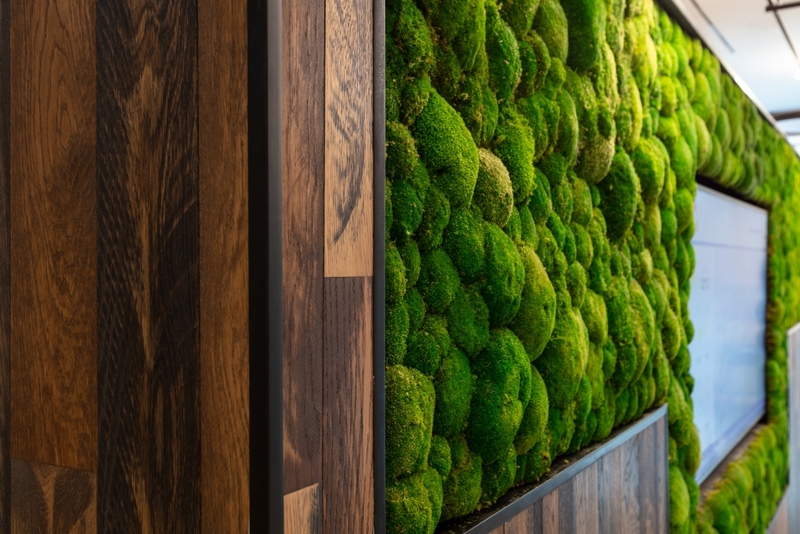 I am sure you are very familiar with the term biophilic design, but just in case you are not it is the idea of incorporating plants into the design of a space. This is not a new trend by any means, in fact it has been a topic of interest (especially within working environments) for the last several years. 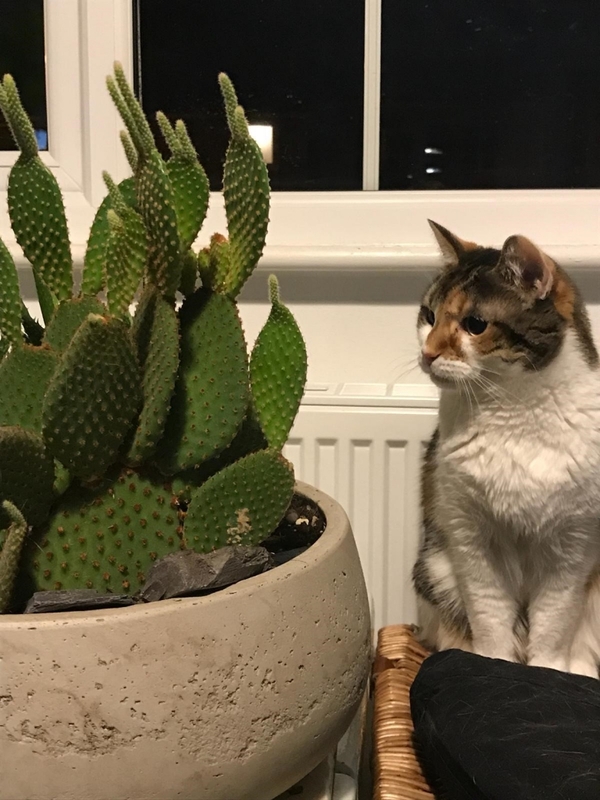 This is trend I have always been on board with and hope to see stay for years to come – not just because of its many benefits, but also because what is there not to love about plants? Where possible I will always look to include greenery features within my design ideas. My home is solid proof of this with plants making an appearance in almost every room! 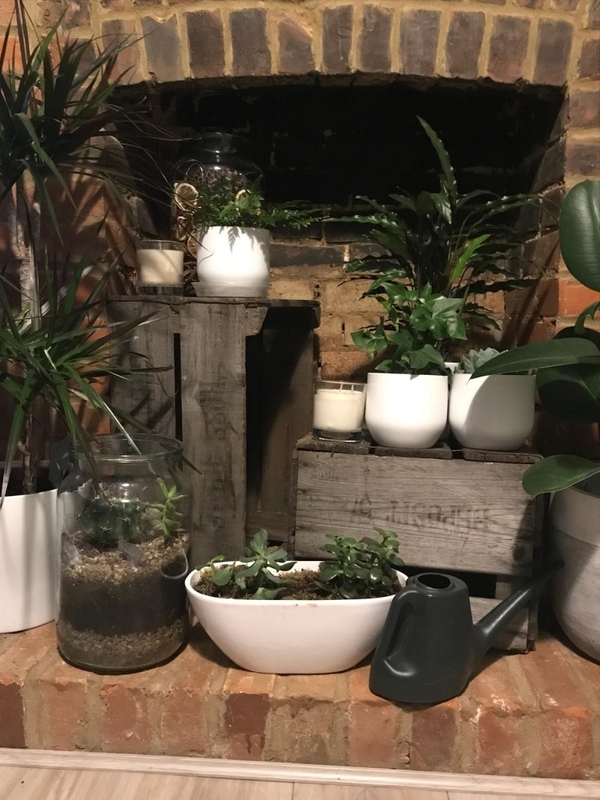 Indoor plants come in all shapes and sizes, and are pretty much available anywhere, whether its online, in home department stores or small interior boutiques. They are happily affordable and easily maintainable additions to any environment. Plus the benefits surrounding them are priceless for businesses especially and are therefore top of my list for this years office must have!! 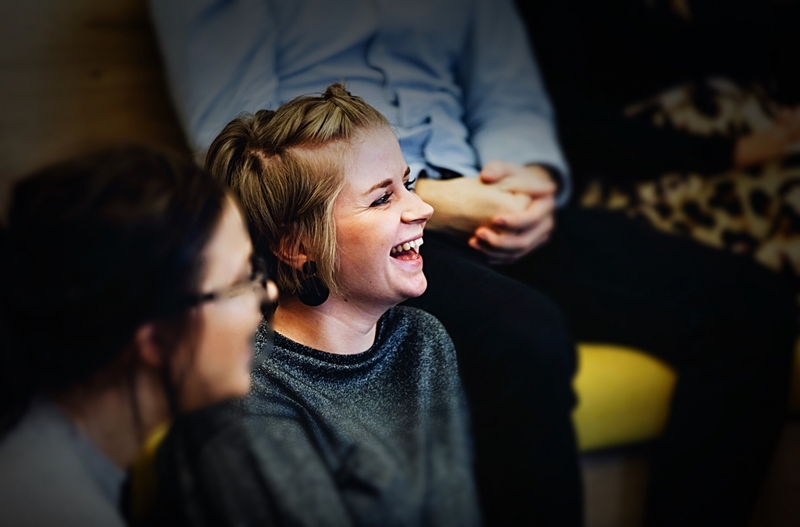 They are known to improve air quality which in itself links to various benefits on people such as improved well being by at least 13% , enhanced productivity levels by 8% and even an increase in creativity, with reduced absenteeism and presenteeism. And to put the cherry on the cake, they also vastly improve the look of any space! So it really is a no brainer investment and is a small, easy to follow trend to help you achieve a better performing business. The “making your space work hard” trend. Gone are the times of designing spaces to be of a singular function. With the increase in rents hitting the nation, it is our jobs as designers to really push the brief, introduce flexibility and just encourage that much needed move away from the ‘traditional working environment’. Spaces today are being designed with multi purposes in mind, which is a significant benefit for businesses. The design combinations are endless, with teapoints doubling up as informal meeting spaces and hot desking areas, to meeting rooms transforming from 4 seats to 12 seat boardrooms. Flexible working is a significant element within any workplace design proposal. 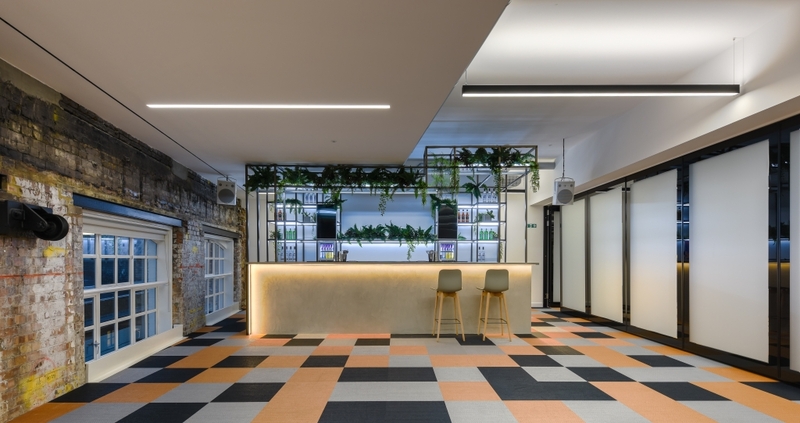 Businesses want to cut back on costs and save space by having multi functional areas that meet all their requirements and give their employees the working areas they need to perform to the best of their ability. To achieve a space that really works for you and your business, you firstly need to understand what kind of company you are and how you can share this with the rest of the world through your space – after all, every business is unique in one way or many and your space needs to capture this. Once you have this in hand, the different spaces you can now incorporate within your workplace is limitless. From phone booths to sleeping pods, to game zones, the working environment has never been so versatile. It is because of this that creating a space that is functional, flexible and actually works for you, is second on my trend list for this year. 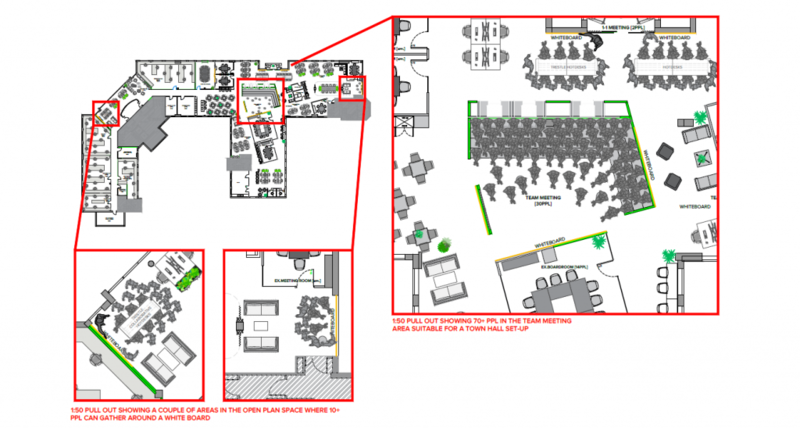 An example of an office layout I designed recently to provide flexible working areas. One way you can create that flexible working space is with folding walls and moving walls. They allow businesses to create flexible spaces without actually having to build upon the infrastructure of the building. Systems have got easier to use whilst maintaining a good acoustic level when closed and the options available for the finish even allows you to write on them as well as having a good range of aesthetic specifications. Not only can you use them for adjoining a couple of meetings rooms to create a larger boardroom, but you can also have them completely open which would work to support scenarios such as events, training days and team meetings. Flexible furniture also comes hand in hand with the likes of folding wall systems. Stackable chairs are great for freeing up space and in recent years have drastically improved so they are more comfortable and design led – meaning you don’t need to worry about letting down the look and feel of the space whilst making it more agile. Foldable tables are also a concept that is being developed further this year, with the intention of only one person folding it away after use. By adding these small changes to your workspace you will create a more flexible and fluid place for your business to not only exist but thrive. You will be better utilising every square foot of your office whilst actively facilitating employee productivity and well being, as well as showing off your company culture and uniqueness to potential customers. The returning trend of Terazzo. 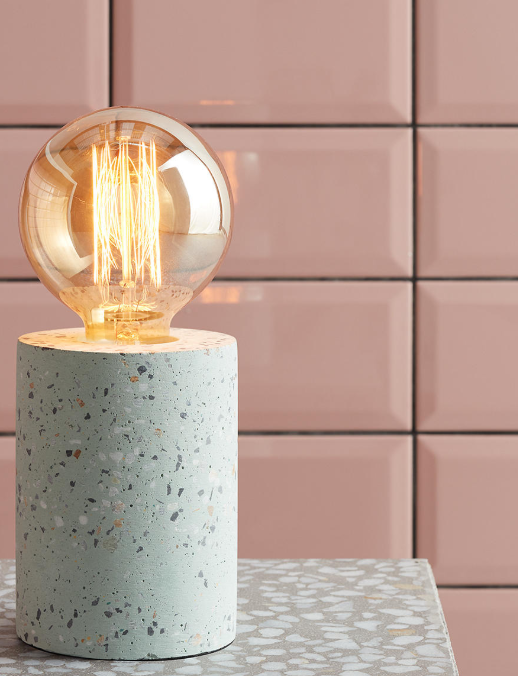 This is a trend that has a long history within design, but like most creative industry’s, the interior design wheel keeps turning and throwing us back into some old time favourites. Terezzo needs no introduction. It has been dated as far back as 9000BC with many historic examples around. There is no point in me beating around the bush on this, so its about time I came clean. Terazzo is not a trend I was initially sold on, up until recently I have always viewed it is a dated material and never considered it as part of my design concepts. But once I understood the versatility of it and the many benefits surrounding it, I fell in love and haven’t looked back! 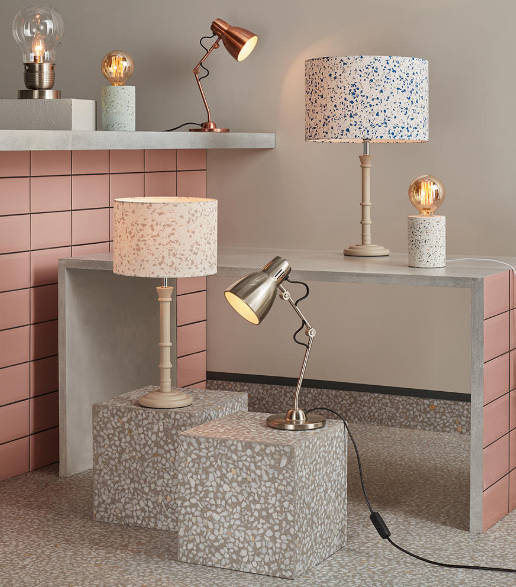 Terazzo can be used as a subtle finish within a space in the form of decorative accessories, or it can be used to create a punchy impact in bolder forms such as worktops, flooring and even reception desks, where its hard-wearing properties are essential. Not only is it aesthetically pleasing, but Terazzo is linked to various benefits, some which can be extremely useful to the modern working ways of today. Firstly, with its marble, quarts, granite and sometimes even glass properties it can withstand the test of time, (hence its long lasting presence within the design world) . It is also because of these properties that it has a huge colour and design range available, making it a completely bespoke feature that can suit either corporate spaces with that high end finish or creative spaces with a bolder impact to fully represent your brand and create a sense of arrival for anyone entering the space. Despite popular belief, modern terrazzo was created as a budget friendly material. So what was once a luxery design finish with a premium price tag, is now an affordable material with endless design opportunities. Essentially giving your business that high end quality finish to help set you apart from your competitors, whilst also representing your brand and business culture. environmental standards without any aesthetic sacrifice. Take a look at some of our recently completed projects here!